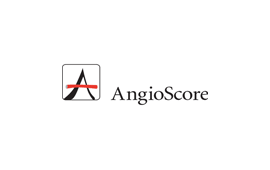 AngioScore, Inc. develops, makes, and sells leading edge tools for endovascular therapy. The AngioSculpt Scoring Balloon Catheter, represents the next generation in angioplasty baloon catheters for both coronary and peripheral artery disease. The AngioSculpt provides the versatility and effectiveness required of a new technology together with the simplicity and deliver-ability of traditional high-performance balloon catheters. AngioScore, Inc. was acquired by Spectranetics.